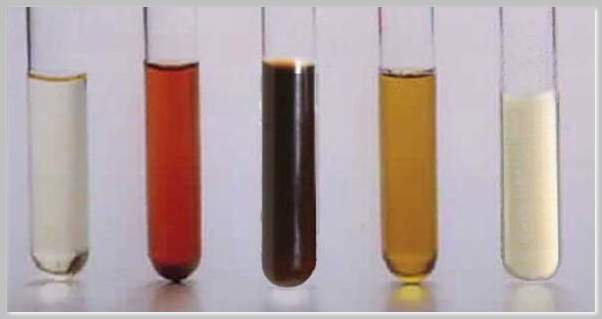 Urobilinogen (UBG, URO) is a colorless substance that is normally present in the urine in small amounts. Typically, the bacteria in the duodenum will convert bilirubin into urobilinogen. After conversion, the intestine will reabsorb the URO and the liver will convert it back into bilirubin, a process known as the intrahepatic urobilinogen cycle. Most of the time, the feces will contain urobilinogen. However, the kidneys can also help eliminate this substance. Thus, a healthy person may have less than 17 micromols/L of URO in his urine. 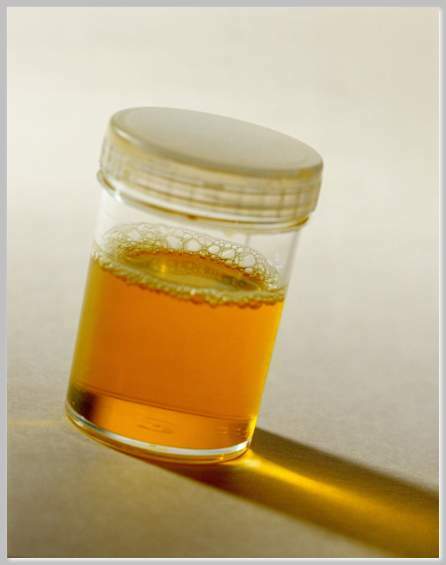 Because of certain health conditions, a person excretes a dark-yellow urine, which may indicate the presence of high urobilinogen. In some medical conditions, it can be absent or too low. If you get any of these results, it is best to consult your doctor because it indicates a health problem, specifically in the functioning of your liver. What are Causes of Urobilinogen in Urine? Hemolysis occurs when the red blood cells (RBCs) are broken down too soon and the bone marrow is unable to produce sufficient amount of RBCs to keep up with the fast-paced destruction of the blood cell. This will result in high concentrations of urobilinogen in the urine because it increases the production of bilirubin. This condition is common in patients with hemolytic anemia. This type of anemia occurs when a person has a folic acid deficiency. Folic acid is necessary for the production of RBC. Insufficient amount of this B vitamin can cause the destruction of the RBC in the bone marrow, which indirectly leads to an increase in bilirubin production. When the liver is unable to function efficiently, urobilinogen build-up in the body may occur. Various diseases can weaken and affect the performance of this organ such as hepatitis, cirrhosis, necrosis, and liver cancer. Hepatitis is an inflammation of the liver because of an infection caused by the hepatitis virus. Liver cirrhosis occurs when the healthy tissues are replaced by scar tissues due to long-term alcohol abuse and low amounts of protein in the diet. When the tissue of a certain organ dies, it is known as necrosis. Lastly, liver cancer occurs when there is an abnormal cell growth. Dubin-Johnson syndrome is a hereditary genetic disorder that causes high concentrations of URO in the urine. This is due to a chromosomal defect, particularly in the chromosome 10q24, which results in high amounts of conjugated bilirubin in the blood. Because conjugated bilirubin is water soluble, the kidneys can excrete it after the intestine converts it into urobilinogen. Rotor’s syndrome is a rare medical condition that causes multiple defects in the reabsorption and excretion of urobilinogen. Congestive heart failure (CHF) is a medical condition wherein the heart is unable to pump sufficient amounts of blood throughout the body. Patients with CHF will typically experience an increase in the destruction of blood cells, which results in high amounts of bilirubin. Toxic substances or poisons can severely damage the liver because it is the key organ responsible for metabolizing various substances, including lead. This will eventually result in improper functioning of the liver. Cholestasis occurs when there is a decrease in bile flow due to a bile duct obstruction or improper functioning of the liver. When there is cholestasis, only a small amount of conjugated bilirubin will reach the intestine resulting in low amounts of URO in the urine. Crigler-Najjar syndrome is a congenital disease that causes the abnormal metabolism of bilirubin due to the absence or insufficient amounts of the enzyme, uridine diphosphate glycosyltransferase. Keep in mind that bilirubin is insoluble in water. The body will be able to eliminate it once the enzyme converts it into a soluble compound, which is conjugated bilirubin. Because there is an insufficient amount of the enzyme, the substance remains unconjugated. Thus, the urine test will show an absence or very low amounts of urobilinogen. Gilbert’s syndrome is a hereditary genetic disorder that can cause low urobilinogen due to the decrease in activity of the enzyme uridine diphosphate glycosyltransferase caused by the defect in the UGT1A1 gene. Thus, most bilirubin remains unconjugated and not excreted out of the body. If you are taking antibiotics, this medication can kill all the microorganisms in your digestive tract, including the good bacteria that help in the conversion of bilirubin to urobilinogen. Certain drugs such as vitamin C and ammonium chloride can increase the acidity of the urine, especially if taken in high doses. This will result in low concentrations of urobilinogen in the urine. To determine the presence of urobilinogen in the urine, the technician will use dipstick containing P-dimethylaminobenzaldehyde, which will produce a pink color to indicate a positive result. The Watson-Schwartz test will help measure the exact amount of urobilinogen. From there, the doctor will be able to establish the underlying cause of the abnormality by ordering other tests such as complete blood count (CBC) and various tests for liver function. If the underlying cause of the abnormality is due to certain medications, the doctor may recommend that the patient should stop taking the drug to normalize the URO concentration in the urine. If the abnormal urobilinogen concentration is due to a blood disorder, the doctor will prescribe supplements such as iron, folic acid, and cobalamin. Hospitalization is necessary for severe cases of anemia. Because the liver is a vital organ, the doctor will closely monitor the condition of patients with liver dysfunctions in the hospital. For patients with hepatitis, the doctor will prescribe antiviral medications such as ribavirin and interferon. If the damage to the liver is severe, the patient will have to undergo a liver transplant. It is vital to have a normal range of urobilinogen in your urine. The best and easiest way to achieve this is by drinking eight glasses of water every day. Doing regular exercises is also beneficial.